Kaisa is an Associate Professor in Environmental Communication at SLU. 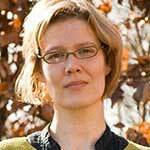 Her work focuses on the politics of natural resources, in particular on conflicts around mining, forestry and indigenous peoples’rights in Sweden, Finland and Canada. Currently her research revolves around two issues: deepening our understanding of the constructive potential of environmental conflicts for social change, and exploring ways for implementing the internationally recognised indigenous peoples rights of the Sámi in natural resource policies and practices. Previously Kaisa’s research has looked at the limits and potential of collaborative planning in managing environmental conflicts, with a focus on forest conflicts in Finland and B.C., Canada, the drivers behind such processes, and the role formal and informal institutions play in enabling/hindering collaborative problem-solving. Her research combines theories from the fields of conflict studies, political science, planning theory and legal analysis, and is increasingly based on action research methodology.